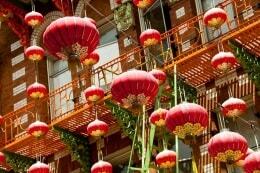 Jump behind the storefronts of Grant Street and into the thick of Chinese culture. 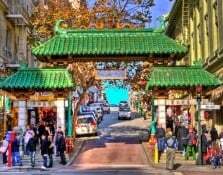 From the invention of the fortune cookie to the Chinese Ellis Island, follow the Discover Walks native guides of this San Francisco walking tour through the Chinese re-creation of China in the US and how from the earliest days of the Gold Rush, San Francisco’s Chinatown is the largest Chinese community outside of China. 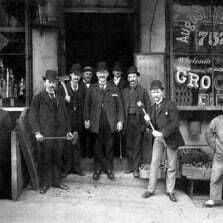 Find out about the fascinating, at times tragic, and always buoyant, sagas of Chinese immigrants to the United States. Visit the herb shops, live poultry markets, Buddhist Shrines. Learn the creation of dim sum, the fortune cookie, Chinese mafia and Peking Duck. With this Chinatown walking tour you will feel like you have stepped across the Pacific and into China. At the same time, you will also appreciate the vibrancy, diversity and energy of the San Francisco culture. On our tours you will feel the difference. Our native City Guides know what it’s like to live in San Francisco, are eager to take you around their favorite neighborhoods and glad to give you personal insights into life in our city – where to go out, shop, drink, dine and experience the city. An hour with a Discover Walks guide is like strolling around with a new friend. Tours starts by reservation and last a leisurely 90 minutes. We meet in Porthsmouth Square (on the corner of Washington and Kearny) in front of the large red Chinese gate (by the elevators and on the upper level). This tour ends near old Saint Mary’s Square.